Safe Space is a non-profit organization that is committed to reducing relationship violence and sexual assault in Franklin County, North Carolina and nearby communities. Since 1995, we have assisted hundreds of victims and their children. Visit our services page to learn more about what we do. Providing and developing supportive services to meet the needs of adult and child victims of domestic violence of sexual assault. These services include safe housing, court advocacy, system advocacy, and induvial and group counseling. Creating awareness of domestic violence and sexual assault through community presentations and professional training focused on the causes and effects of violence, the prevention of the intergenerational cycle of violence, and the services available to the community. Building a coordinated community response to domestic violence and sexual assault that encourages citizen participation and interagency collaboration. Advocating for perpetrator accountability and re-education to deter abuses from future use of violence and to change their beliefs justifying relationship violence. Monica Kearney is the Executive Director of Safe Space Domestic Violence/Sexual Assault services agency in Franklin County. 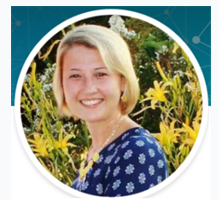 She holds a Bachelor’s degree in Social Work from the University of North Carolina at Greensboro and a Master’s Degree in Social Work from the University of New England. Monica has over twenty years of experience in the social work profession. Her roles include nonprofit management/executive director, early childhood education services, outreach and community education. Monica is a trailblazer for women and children and for those issues which impede upon their health and well-being. Her spirituality, family, and network, of supportive friends, keep her grounded and are the source of her strength. Her experiences fuel that the passion and commitment to enhance programs and services for women and children who suffer from the impact of domestic violence and sexual assault in Franklin County. Misty Edwards was raised in Henderson, NC where she currently resides with her husband and two children. After graduating from High School in 2005, Misty attended VGCC for two years. Misty has seven years of banking experience and is currently employed as an Advisor for Union Bank in Louisburg. Currently she serves as an ambassador for the Greater Franklin County Chamber of Commerce, in which she received ambassador of the year award for 2016. Misty also enjoys working with people and volunteering in her church. Although this year is her first year being a board member, Misty desires to hit the ground running and make an impact for Safe Space towards making a difference in her community. Sarah Crawford is a seasoned nonprofit and political professional with more than 15 years experience in marketing and community outreach, and a decade of experience in fundraising, raising nearly $11 million for local causes and candidates. Sarah has dedicated her career to serving the community, starting in constituent services for a Member of Congress, moving into political fundraising and marketing. Sarah has raised money statewide in North Carolina and has experience working with nonprofits in the areas of health and human services, education services, animal welfare and higher education. Additionally, Sarah ran for North Carolina Senate in 2014, mounting the most expensive legislative race in the history of the state and challenging an incumbent in one of North Carolina’s most competitive Senate districts. Sarah currently serves as State Director for Single Stop USA, a national nonprofit, and also owns Willow Strategies, a full service fundraising and project management consulting firm. She has previously served as Director of Development and Public Relations for Tammy Lynn Center for Developmental Disabilities and has worked in major gifts at Duke University and Health Systems. Sarah serves on the Board of Advisors for the Jamie Kirk Hahn Foundation and NCSU’s School of Public and International Affairs. In addition to Safe Space, she also serves on the Board of Directors for Band Together. Sarah is the current Vice Chair of Safe Space. Don James “Jim” Grove is a retired environmental engineer. He received a BS and MS in Chemical Engineering from Cornell University. He has been a board member of Safe Space for over 17 years, and board chair for the last 10 years.He has been a volunteer fireman and board treasurer of Mitchiner’s Crossroads Fire Department for the last 23 years. He was recognized as Franklin County Citizen of the Year in 2007. He has mentored numerous young men. “Having observed the destructive effects of domestic violence first-hand, I have committed myself to do what I can to help others take back control of their lives,” says Jim. After earning her Bachelor of Arts in Journalism and Mass Communication from the University of NC at Chapel Hill, Anna worked for 13 years as a reporter and editor for three community newspapers. She currently works as a legislative assistant for a House member in the NC General Assembly. Helping others has always been her passion. She served for several years as a member, chairman and mentor with Franklin County Friends of Youth and has been on the Safe Space Board of Directors since 2006 where she serves as secretary. Anna spends her spare time reading, watching movies and volunteering at the Safe Space Variety Store. She is a former member of the Louisburg Area Jaycees. Anna is the long-serving Secretary of the Board. One of her inspirations for serving on the Board is Chairman Emeritus Jim Grove, who works so tirelessly to assure that the organization is running smoothly. His dedication is contagious. 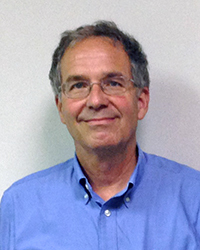 Larry is a Buffalo native and holds a management degree from SUNY-Buffalo. Now retired, the former commercial banker, college basketball coach, retail manager, and distributor sales rep spends his “working hours” writing political op-eds. Over the years he has earned a multitude of certifications in the athletics, banking and wine. He began his volunteer service to his community while still in his teens and quickly rose to the Presidency of his local Little League. Later in life he led up a trade organization and a county political party. Larry joined the Safe Space Board in 2012 as a way to give back to the community and help those in a desperate hour of need. He is currently serving as Chair. His inspiration is his admiration for the courage it takes to leave an abusive relationship, often with no more than the clothes on your back and the bruises on your body — often penniless and with children in tow. Jim is Safe Space’s longest-serving member of the Board having come on just months after the organization’s inception. He is an alumnus of North Carolina State University. Jim has a history of public service, including having served multiple terms on the Franklin County Board of Commissioners. His basic instinct is to find a way to help others. As the father of three daughters, he is particularly interested in women’s issues. Rev. Dr. David K. Rosby a native of Statesville, North Carolina. After finishing Statesville Senior High School he attended Shaw University in Raleigh, North Carolina on a full four-year football scholarship, he majored in Music Education and received his Bachelor of Arts degree in 1983. 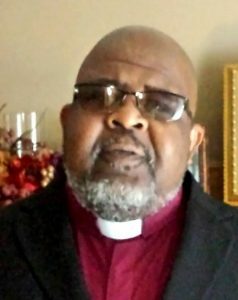 Rev Rosby also holds a Bachelor’s Degree in Theology and a Master’s Degree in Biblical Studies with a Doctoral degree in Biblical Counseling, from Andersonville Theological Seminary. In 1985 Reverend Rosby furthered his studies at Shaw Divinity School in Raleigh, N. C. in Christian Education. The General Baptist State Convention (GBSC), of N.C. employed him as Secretary of Lay Work, which involved the organizing of the Laymen’s League for 1700 Baptist churches over the State of North Carolina. There he was instrumental in writing the Laymen League manual for GBSC, along with the late Dr. O. A. Dupree, and the Bro. Charles Alston. Currently, Reverend Rosby is the pastor of South Main Street Baptist Church where he began his ministry in September 1994. Rev. Rosby is married to Sharon Holman Rosby, and they have two children. Rev. 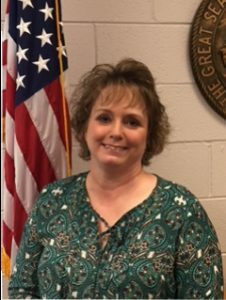 Rosby is currently and has been employed with the Franklin County School System for over 17 years. He is also the president of the Franklin Area Clergy Ecumenical Society (F. A. C. E. S.). Ferne is a native North Carolinian having lived in Franklin County for over 25 years. She graduated from NC State before embarking on a long career with the North Carolina Museum of Natural Sciences. Having herself been a victim of violence in the past, Ferne has a particular passion for Safe Space’s mission. A married mother of two, she currently resides in Louisburg’s Historic District. Diane Marks has deep local roots that have led her to a life of community service. Raised in Centerville, NC, she has a lifelong devotion to the Centerville Baptist Church, has been married for 30 years and is blessed with a daughter. For the last 29 years, she has worked for the Franklin County Schools where she currently serves as the Clerk to the Board and Student Assignment Manager. Being a Girl Scout Mom became a 20-year devotion. Diane currently serves as the Girl Scouts’ Service Unit Manager for Vance and Warren Counties. Diane’s passion in life is to serve, protect and empower girls and women in their families, local community and into the far reaches of the world. Diane brings that passion to Safe Space working to turn the victims of domestic violence and sexual assault into survivors. Jeff Lewis is the Emergency Services Director for Franklin County. He currently holds an Associate degree from North Carolina State University in Field Crop Technology, He currently possesses his Paramedic Certification and Associate level certification in Emergency Management through the State of North Carolina. Jeff is currently employed with Franklin County as the “Emergency Services Director” where has served as administrator of Franklin County EMS. He also serves as the Fire Marshal and Emergency Manager for Franklin County. Jeff has over 32 years of experience as a Paramedic, 15 years of service in Emergency Management and currently is a member and serves on the Board of Directors for Antioch Fire Department. Jeff has been a volunteer fireman for the last 18 years. Jeff has had the opportunity to serve on numerous committees. 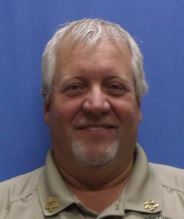 He is actively serving on the 911 Advisory Board, Serves as chair for the Franklin County EMS Advisory Council. Dr. Bobbie Richardson was born in Wood, North Carolina, in the northeast region of Franklin County, on her family’s farm. Dr. Richardson is a graduate of NC Central University in Durham, NC, where she earned her undergraduate degree and master’s degree, and of the University of North Carolina at Chapel Hill, where she earned a doctorate in Education Leadership. Dr. Richardson retired from helping the children and teachers of North Carolina become the best they can be and represented the people of House District 7 (which consists of portions of Franklin and Nash Counties). She was appointed in January 2013 and won election in Nov. 2014 and re-election 2016 for additional two-year terms each in the NC General Assembly. She has served as secretary of the House Democratic Caucus and as House Democratic Whip. Dr. Richardson has been recognized many times for outstanding service to her community, including the 2015 Top Ladies of Distinction (Wendell Chapter) Everyday Heroes Award, 2010 Franklin County Democratic Woman of the Year Award, 2012 Perry’s Alumni Humanitarian Award, and Who’s Who Women in Education Award from Durham Public Schools in 1989. She has been nominated and accepted to serve as a State Director for the National Women In Government organization. In 2014 she received the Rising Star Award at the NC League of Conservation Voters’ Green Tie Awards banquet. She was also the receipt of the Everyday Heroes Award 2015, Top Ladies of Distinction, Wendell Chapter. She was one of the recipients of the 2016 Women of Excellence Award from the National Foundation of Women Legislators and in 2016 she received the Political Courage Award from the Rocky Mount Chapter of the NAACP. Dr. Richardson currently serves on the Executive Committee for the NC Democratic Party. She is a past chair of the Franklin County Democratic Party and currently is a member of the Franklin County Women Democrats, Franklin County Senior Democrats, the Franklin County African American Caucus, and Nash County Democratic Women. She is a member of the NC Legislative Black Caucus and board member of the NC Legislative Black Caucus Foundation, Inc. She is a member of Delta Sigma Theta Sorority and a member of the Roanoke, Va., Moles. 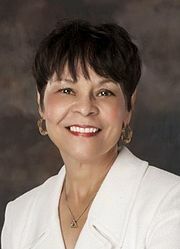 She is a trustee of Gillfield Missionary Baptist Church and chair of the church’s Education Committee. She serves on the Board of Trustees for Louisburg College in Louisburg, NC. NO MORE is a unifying symbol and campaign to raise public awareness and engage bystanders around ending domestic violence and sexual assault. NO MORE is supported by hundreds of national and local groups and by thousands of individuals, organizations, universities, and communities who are using its signature blue symbol to increase visibility for domestic violence and sexual assault. An online resource hub for victims of domestic violence and/or sexual assault in North Carolina. A free online tool that helps users find a shelter near them and get help regardless of where they are or what language they speak. A free online hotline with highly trained advocates who are available 24/7 to talk confidentially with anyone experiencing domestic violence, seeking resources or information, or questioning unhealthy aspects of their relationship. The North Carolina Coalition Against Sexual Assault is an inclusive, statewide alliance working to end sexual violence through education, advocacy, and legislation. Wheels4Hope is a non-profit, faith-based car donation program that turns donated cars into local blessings. We are located in the Triangle and Triad areas of North Carolina.